Eli Whitney is acknowledged as the sole inventor of the cotton gin, but if the historical record were more complete, or if America’s patent laws in 1783 were more enlightened, there’s a pretty good chance that Catherine Littlefield Greene would be sharing the acclaim. The cotton gin (short for “engine”) was a mechanical device that removed the seeds from balls of cotton fiber. Its importance as a technological innovation is often obscured by its sociological impact. It is credited, if that’s the right word, with spurring the growth of slavery by making the production of cotton less labor intensive and thus more profitable. This helped to transform the American South into an agricultural powerhouse supplying most of the world’s cotton by the time of the Civil War, in the process institutionalizing the slave-based plantation system as the engine of the region’s economic prosperity. Catherine Littlefield was born into an aristocratic Rhode Island family in 1755. Her father served in the state legislature, her mother’s forebears settled Block Island, her uncle William was a Rhode Island Governor. Her husband Nathanael Greene was a distinguished Revolutionary War general who was a close aide to Washington, fought with him at Valley Forge and led the colonial’s Southern Army for three years during which the British were decisively beaten. After the war, the family settled on a plantation called Mulberry Grove near Savannah, Georgia on lands given them in recognition of the general’s service during the war. The plantation was not very profitable, due partly to Greene’s refusal on religious grounds (he was a Quaker) to use slave labor. Within a year, Nathanael Greene died, leaving 31 year-old Catherine to run the plantation and raise their five children, aged three to ten, without him. She was more than up to the task. By 1788, the plantation was going strong. She hosted Washington on several of the President’s trips south. She brought on a tutor named Phineas Miller who soon thereafter became her plantation manager. A few years later, she met a young Yale graduate on a steamship to South Carolina. In search of a teaching job in the South, Eli Whitney would become the Greene children’s tutor and a handyman about Mulberry Grove. The fuzziness of the historical record makes it impossible to know the precise role Greene played in the invention of the gin. It’s generally agreed that Greene presented the underlying difficulties in raising green-seed cotton to the northerner Whitney, who was otherwise unschooled in plantation practices, and that she encouraged him to develop a solution. Her influence could well have gone much further. By some accounts, she not only posed the problem but suggested the original design, and was responsible for a key innovation that rescued the project when Whitney was on the verge of abandoning it – substituting wire for wooden teeth. Greene provided financial backing to Whitney throughout the development of the cotton gin prototype and there is evidence that she financed the patenting process as well. Women were not allowed to hold patents at the time. If they were, it seems quite probable that Whitney would have included her on the application and her name would have passed down in history as a co-inventor. Whitney went into business with Phineas Miller but they fumbled the roll-out. First, they tried a “services” business where they would clean cotton for a fee. When that met with resistance, they tried to manufacture and sell cotton gins. They could not keep up with demand, however, and found it impossible to enforce the patent that would keep others off the market. 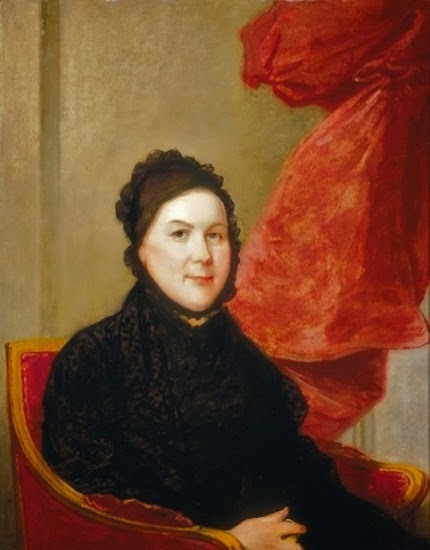 Catherine Greene sold Mulberry Grove in part to help subsidize the lawsuits surrounding the patent which, notably, Whitney paid her royalties on. It’s not clear whether the royalties were in recognition of her financial support in defending the patent or her contributions to the gin’s design. Or both. In 1796, Catherine Greene married Phineas Miller. (They’d been flirting since the early days.) A year later, Whitney and Miller were out of business. The cotton gin always ranks in the top 100 and sometimes in the top 10 most important inventions of all time. Eli Whitney’s achievements are taught to all schoolchildren. Buildings, schools, and at least one lake bear his name. A museum dedicated to his achievements is located on Whitney Avenue outside New Haven, CT. It is as the wife of the war hero Nathanael Greene and mother to his five heirs that Catherine Littlefield Greene is best remembered today. Since the meager historical record does Catherine Greene no favors, it’s only fair that speculation does. Truly, there is a reading to this tale in which Greene contributed both the brains and the money to the operation while Whitney supplied the brawn and some basic mechanical know-how. That is certainly a harsh reading from Whitney’s perspective. But he gets enough ink. Did the Quaker-influenced policy to avoid enslaved human labor continue after Nathanael Greene’s death? That would certainly attest to the abilities of the young widow.